Margaret Atwood is a writer. Calvin Sandborn, Q.C., is legal director of the University of Victoria Environmental Law Centre. Of course, we have long known that it would be folly to actually wrap babies in plastic. But only now are we beginning to appreciate the unforeseen dangers of wrapping a child’s world in plastic. Since that ad first ran, the throwaway plastic economy has created a global environmental scourge. Fortunately, Canadians now have a unique opportunity to fix that. The world’s oceans are choking on plastic. Every year millions of tons of plastic straws, plastic bags, food wrappers, bottles, Styrofoam, plastic fishing gear and other plastics cascade into the sea. This trash kills countless fish, more than a million seabirds and 100,000 marine mammals annually. Sea turtles eat plastic bags, mistaking them for jellyfish. Six-pack rings strangle gulls and herons. Plastic bags entangle and drown seals and dolphins. Whales become entangled in plastic nets – or ingest so much plastic debris that their guts burst. Worse still, plastic eventually breaks down into microparticles that are now everywhere. And our children are eating it. Microplastics are widely found in tap water and bottled water. Most commercial sea salt contains plastic particles. British Columbia scientists have found more than 3,000 plastic microparticles per cubic metre of water in the Strait of Georgia. One expert estimates that returning B.C. salmon ingest up to 90 plastic particles a day. In a recent survey, the average B.C. shellfish contained eight plastic particles – particles that may contain endocrine inhibitors and carcinogens. And this problem is rapidly growing. With plastic production doubling every 20 years, Royal Society research estimates that by 2050 the oceans could contain more plastic than fish. Furthermore, the current plastics economy is a colossal waste of petroleum. For example, by one estimate, every day Americans use – and immediately throw away – close to 500 million plastic straws. In fact, 95 per cent of all plastic value is lost after only a single use. Such waste drives climate change. At current trends, the plastics industry could consume 15 per cent of the world’s total carbon budget by 2050. Incentivize green technologies, like plastic-eating enzymes and improved recycling methods. Canada can lead this reform. Just as the 1987 Montreal Protocol saved the ozone layer, Canada can now act to save the world’s oceans. The G7 meeting in Charlevoix, Que., in June is our chance – Environment Minister Catherine McKenna has already called for the G7 to develop a “zero plastics waste charter,” and there is talk of a global treaty. We applaud the Minister for this, but there must be more than a photo op, a news release and a general call for global action. How will Canada walk the fine talk? What are the exact laws, policies and actions we will take domestically? How will Ottawa mobilize a concerted federal-provincial effort to set a real example for the world? We call on Prime Minister Justin Trudeau to immediately develop a detailed national strategy to combat marine plastic pollution – something like the strategy laid out in the University of Victoria Environmental Law Centre’s report Seven Reforms to Address Marine Plastic Pollution, and reflected in Motion M-151 currently before Parliament. 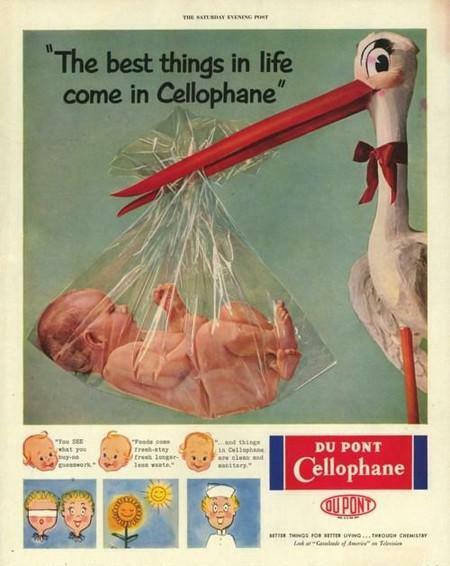 The old stork was wrong – the best things in life do not come wrapped in Cellophane. The best things include clean water, healthy wildlife and healthy children. Our grandchildren’s right to a healthy ocean takes precedence over our right to consume and throw away.